KATHMANDU, March 16: The Transitional Justice (TJ) bodies are likely to be left without any commissioners, at least for a certain period after mid-April, given the government’s delay in forming a recommendations committee as provisioned by law. Mid-April is when the terms of the commissioners expire. It is mandatory to form a five-member recommendations committee headed by a former chief justice, in order to appoint members of the TJ bodies. But the government has not formed the committee so far although less than a month remains for the expiry of existing terms. Former members of the recommendations committee and the conflict victims say the recommendations process may take at least a month even if the committee is formed right away. The appointment process will get prolonged further if the parties fail to agree on the names recommended by the committee. The recommendations committee headed by former chief justice Om Bhakta Shrestha and formed in September 2013 took six months to conduct the consultations process and prepared a roster of prospective candidates. The government extended the terms of the two TJ bodies—Truth and Reconciliation Commission and Commission of Investigation on Enforced Disappeared Person—by a year in February. But the terms of the commission members is expiring mid-April. Their terms were extended by three months in February as part of an understanding among the parties to reshuffle the TJ bodies after accusing these of failing to deliver. Following disagreement with the government, TRC head Surya Kiran Gurung and member Lila Udasi have already resigned from their positions. The remaining three members are awaiting the expiry of their terms also. The CIEDP members for their part are preparing to submit a progress report before their terms expire. The government has started consultations with political parties on forming the recommendations committee. 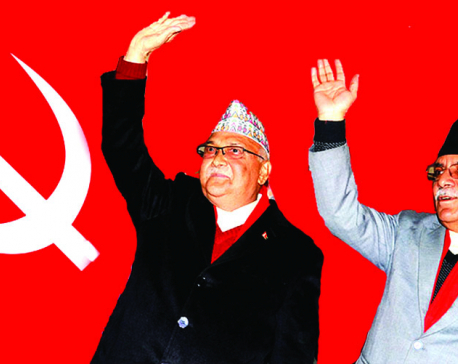 Last week, Prime Minister KP Oli consulted Nepali Congress President Sher Bahadur Deuba and Nepal Communist Party Chairman Pushpa Kamal Dahal. 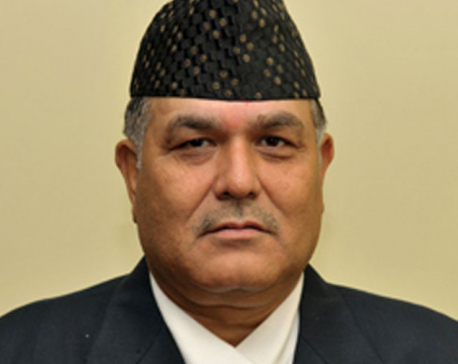 Informed sources said although the parties have tentatively agreed to appoint former chief justice Kalyan Shrestha as head of the five-member recommendations committee it has not yet been finalized. As per the law, the recommendations committee should be under a former chief justice and a representative from the National Human Rights Commission is mandatory. These aside, three more experts including a woman from a related field should be nominated to the committee. Established in early 2015, the commissions have registered over 63,000 complaints on rights violations during the decade of Maoist armed insurgency. But justice for the conflict victims remains elusive and the commissions and the government are into a blame game. “ Given the delay in forming the recommendations committee and filling the leadership vacuum, the international community could raise questions over the government’s credibility,” said Pokharel, the former recommendations committee member.